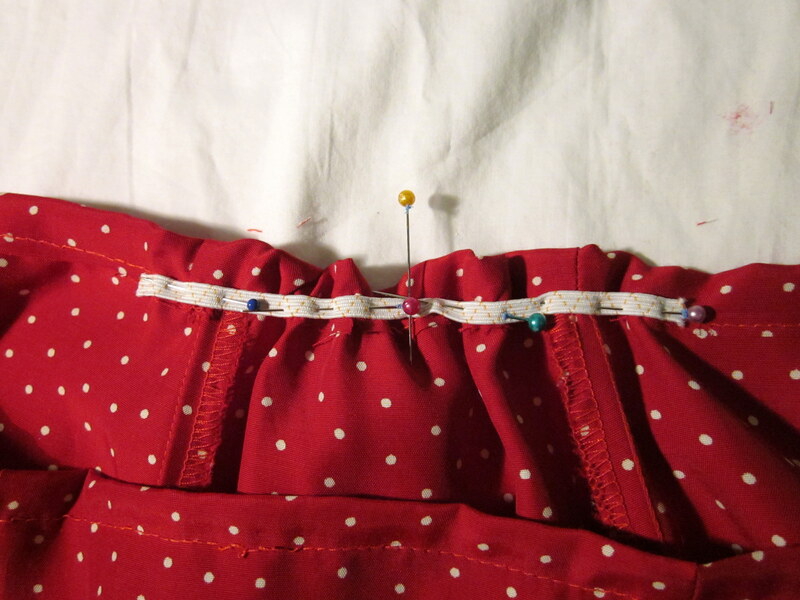 Next up I’ve refashioned another find from my trip to Barking: this bright red polka dot skirt. 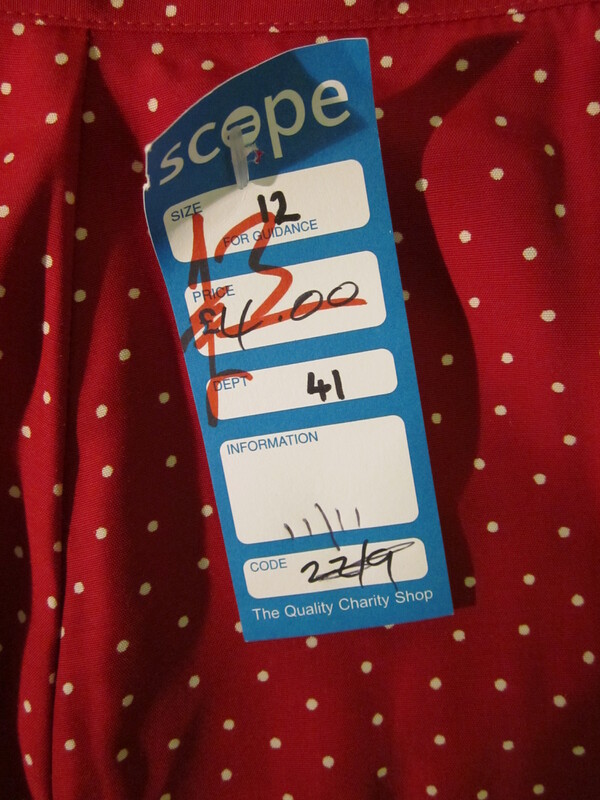 This is also from Scope, and a bargain at £3 reduced from £4! 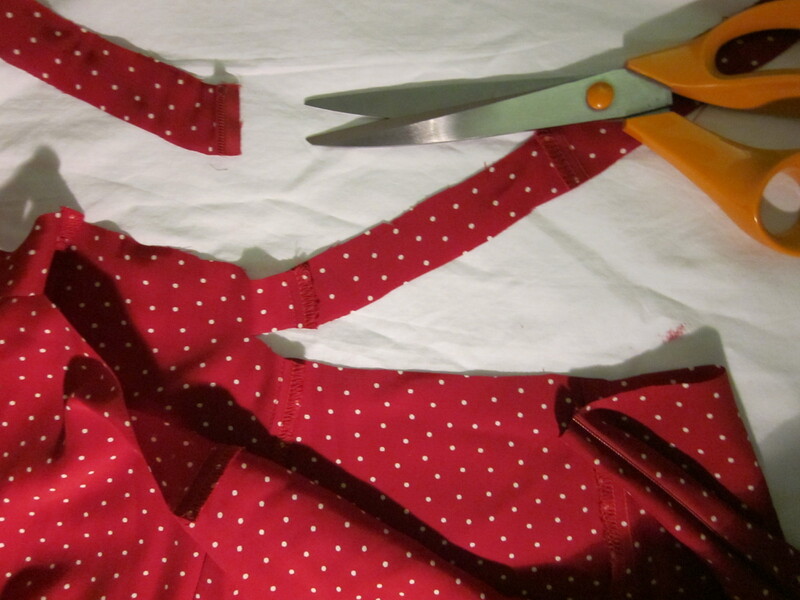 My plan was to turn this into a strapless dress. For this to happen it needed some work on the size. 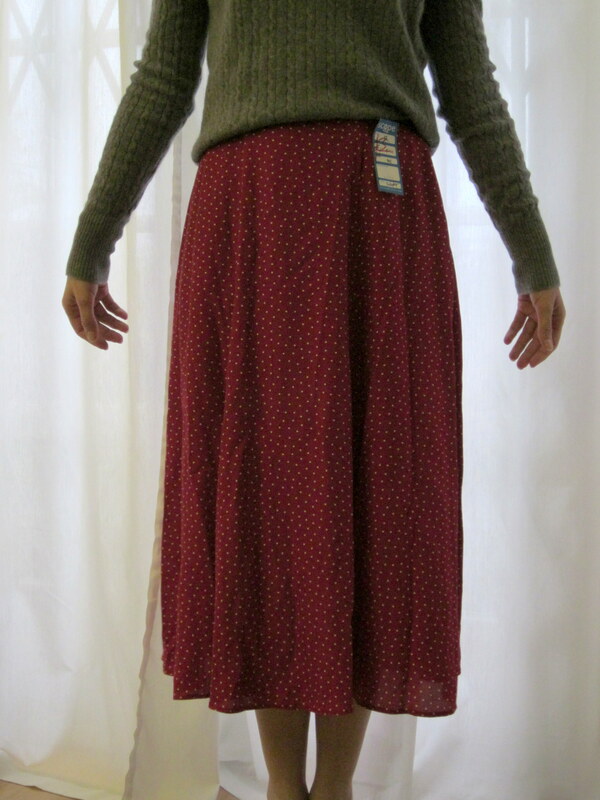 I cut off the waistband and ended up cutting off a little more of the skirt to make the right kind of circumference. 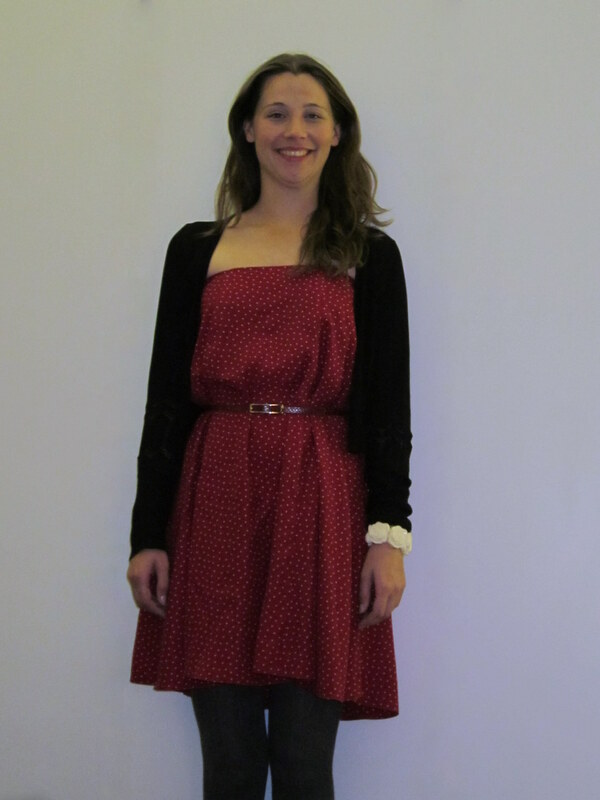 Next, I hemmed the top of the dress and added a piece of elastic to the centre back to help the fit. 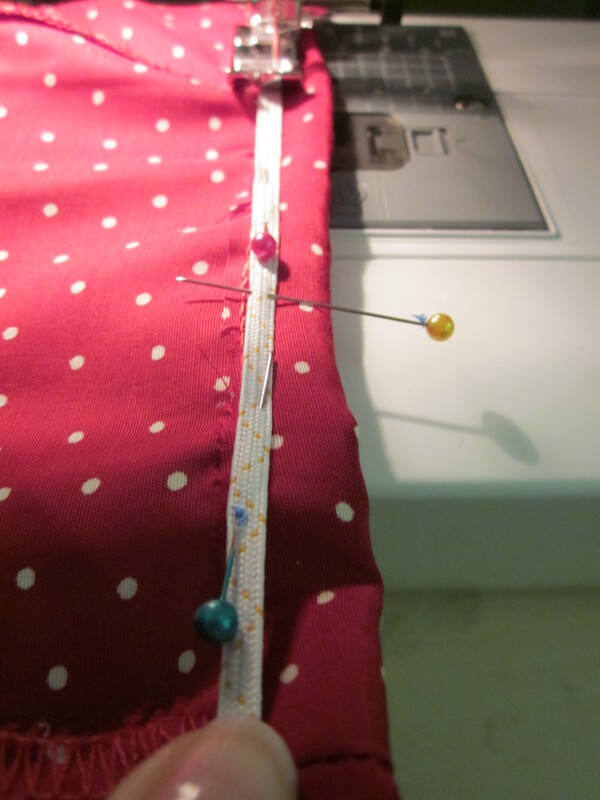 The elastic had to be stretched as I sewed which made it rather fiddly! 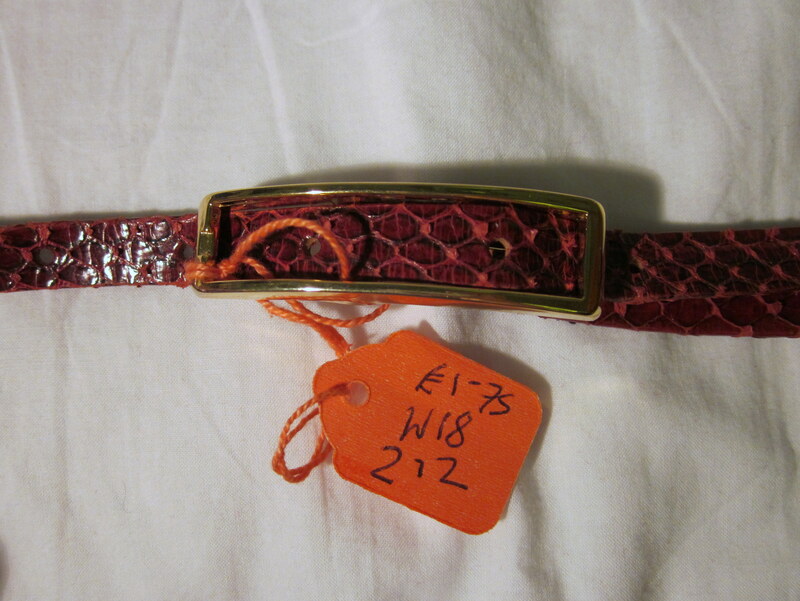 To complete the outfit I added a red faux-snakeskin vintage belt with a gold buckle, another find from the trip to Barking, this time from the British Heart Foundation shop where they had some great belts (I bought several). This one was £1.75. All ready for my dinner out with my friend B! Oh how very lovely!! Will be making this tommorow! I would love it if you could take a look at my blog….